I work a lot. I also travel a lot. Between these two things, my brain can easily become fried. Sometimes all I want to do is veg out and play on my phone or laptop. Especially if I am on a layover and waiting for a flight. While I have my favorite sites that I frequent, they can get stale after too long and I need a break. A few years ago I started to habitually look for strange, pointless, funny or interesting websites where I could just waste my time. Because let’s face it, sometimes you just need to do nothing productive and enjoy it. My own list of favorites change a lot. 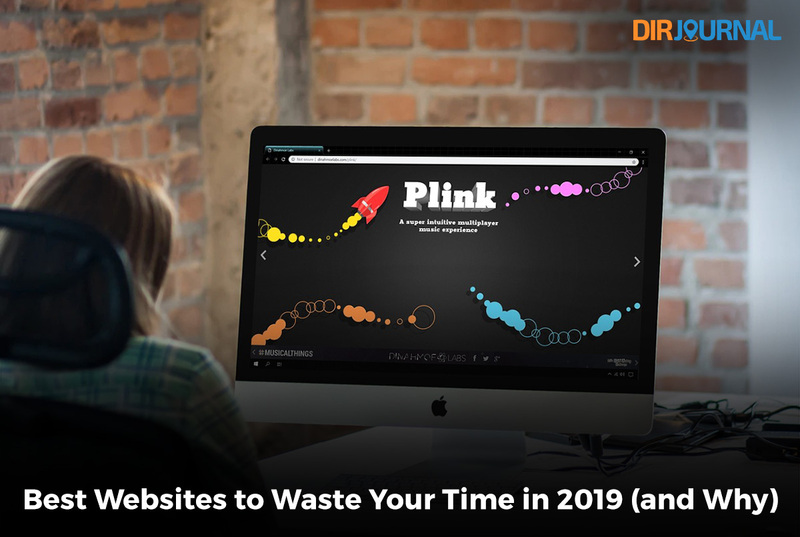 Here is my current collection of the best websites for wasting time (and why). 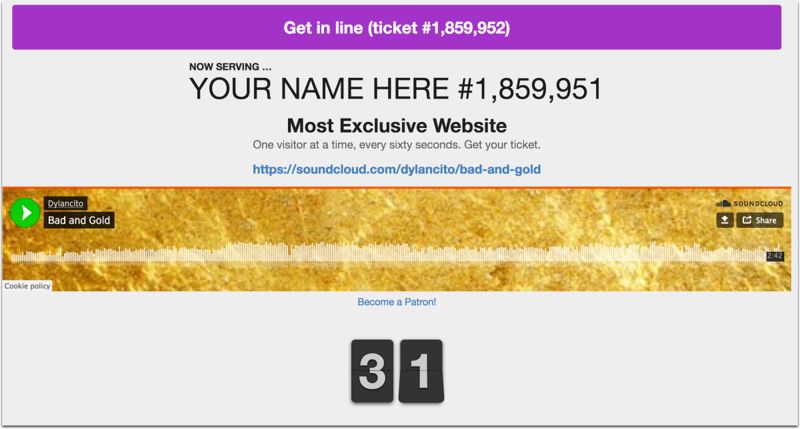 The Most Exclusive Website is what it sounds like… exclusive. You go to the site, take a number and it gives you a place in the queue. A counter at the bottom keeps track of each person’s turn, as only one person can be on the site at a time. When your time comes you post a message, then it gives you some kind of “reward”. Mine today was a gif of a cat playing with mistletoe in the worst definition quality I have seen since the beginning of the Internet. Worth it. Normally, I would not have considered that this might be something that would interest me. But after a few posts, I was hooked. 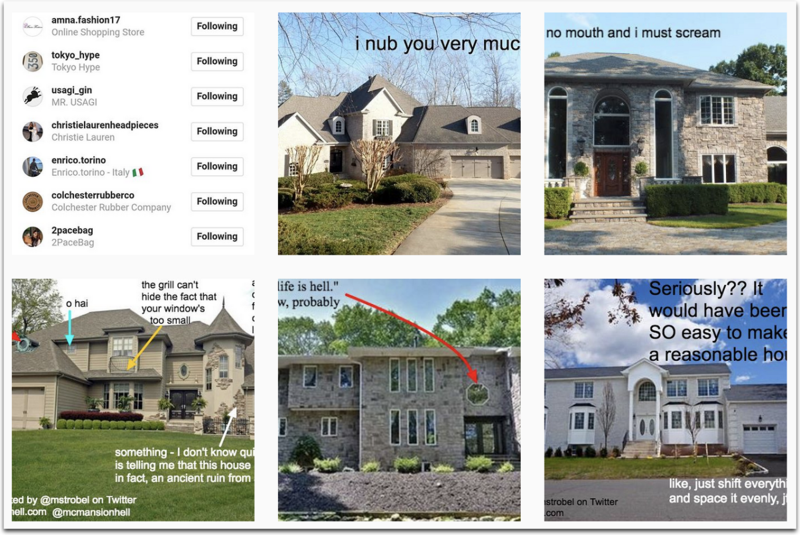 An architect student finds pictures of “McMansions” (cookie cutter, large homes common around the world) and makes fun of them. Trust me, it is infinitely more amusing than it sounds. I love to discover new music. Through my travels I have been lucky enough to do just that, discovering genres and bands I would have never known had I not discovered them. This is an app that brings that same ability back home. 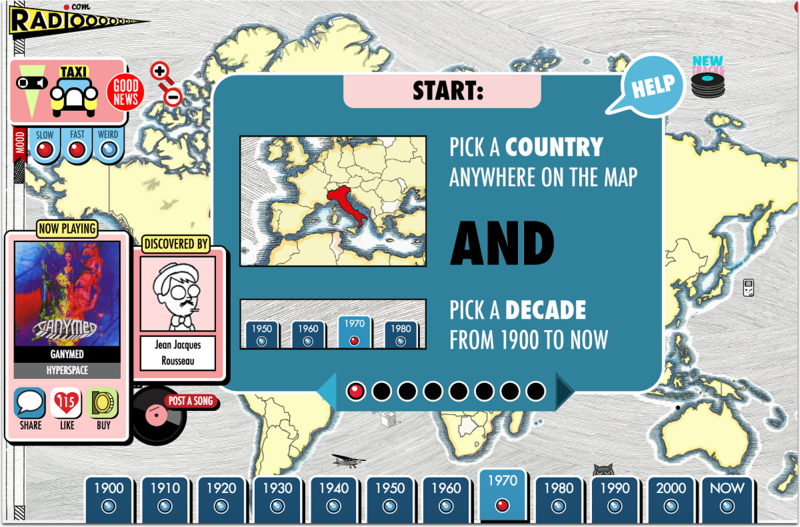 You select a decade (anywhere starting from 1900) and a country. Then it generates a playlist and lets you stream. Speaking of music, want to make your own? How about with other anonymous people? 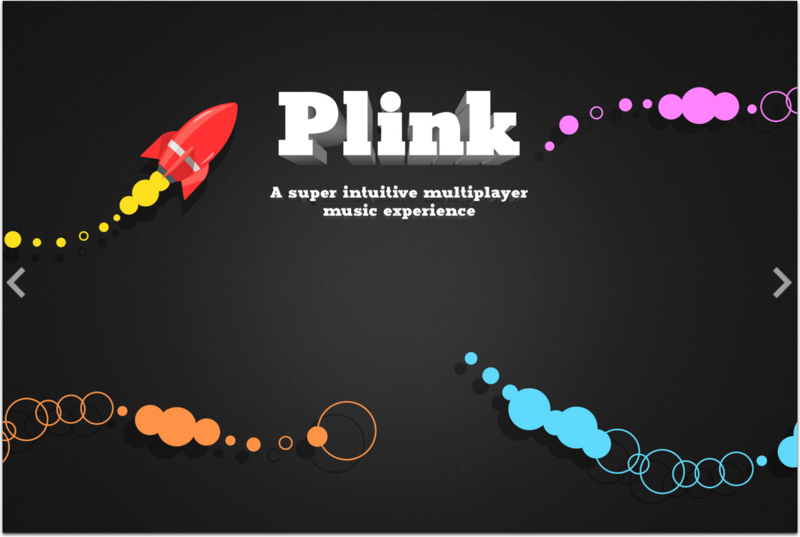 This highly relaxing multiplayer musical experience was created by Dinahmoe Labs. You take on a single sound at a time and work with others also taking on a sound. Then together you work until a song begins to develop. I have spent literally hours playing this, especially on rare days off. Want to help feed the hungry? Want to play a word game at the same time? Show off your English skills while building up bowls of rice to be donated by sponsors to hungry people around the world. It is provided by the World Food Programme, a reliable relief association. If you were suddenly dropped off in a random location, would you be able to find out where you were? It is harder than you might think but this site gives you the chance to try it. Work in a single player or challenger mode. Use geo clues from Google Maps to find your way to an area that gives it away. Use Google’s search engine to find more information from the clues you do find along the way. It is a lot of fun and can be a real challenge! How much does it cost to live in Belize? What is the crime rate in Atlanta? Is it cheaper to buy or rent an apartment in the city center of Tokyo? 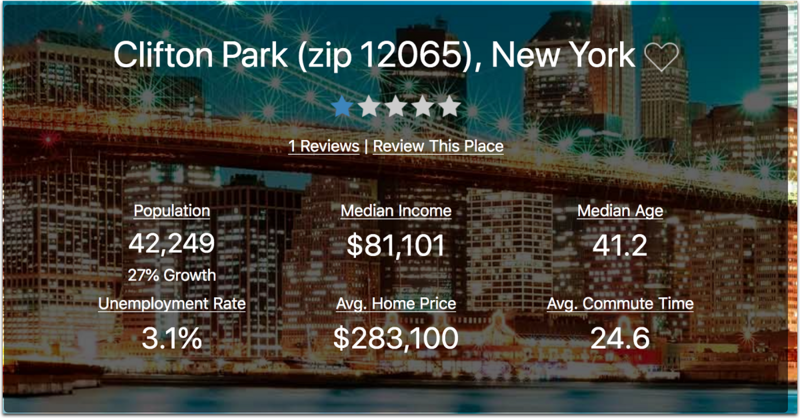 You can find out what life is like for residents of any city in the world using Best Places. They will also generate top lists on criteria such as population, household income and more. This site has sparked many retirement fantasies for me, imagining life in different places around the globe and what it might be like to settle down there. It has also led to a few personal trips. What would it be like to build your own country? How would you run it? How successful would it be? 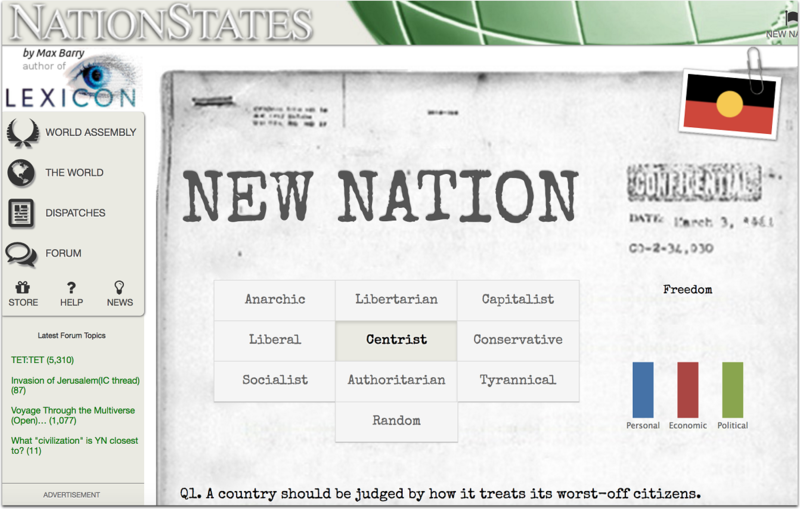 This is a nation simulator game that lets you start from scratch, set policies, taxes, political groups and more by answering questions. It brings up some interesting ethics and moral issues. It is also a lot of fun to compare your country to your friends and see how they differ. I play this one with friends from across the globe and we have seen how our origins and environment impact our game choices. I speak several languages and so I am always fascinated by how they came about, the original meanings and random facts about them. 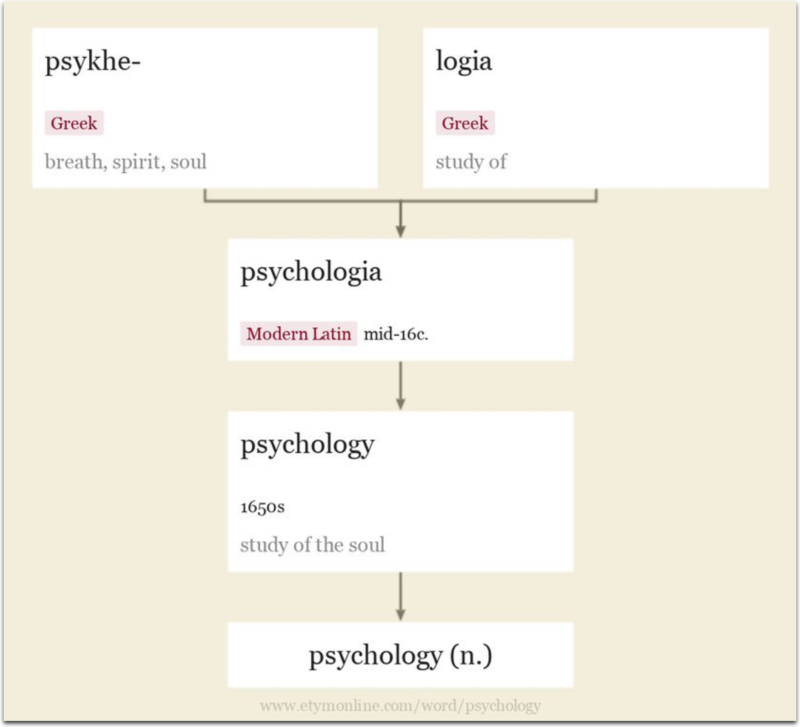 This etymology dictionary breaks down the histories of various words and how they came to be what they are today in the English language. Speaking of which, you can see the meaning and origin of etymology here. You have probably heard of the Old Friends Senior Dog Sanctuary from their heartwarming social media posts. But did you know you can watch their gathering room and see the dogs live? They have a 24/7 cam where you can view the pups hanging around, playing and just being happy in their home. Right now I can see three dogs sleeping on a couch, one occasionally popping up its head and looking at the other two. Adorable and addictive. I love Wikihow. 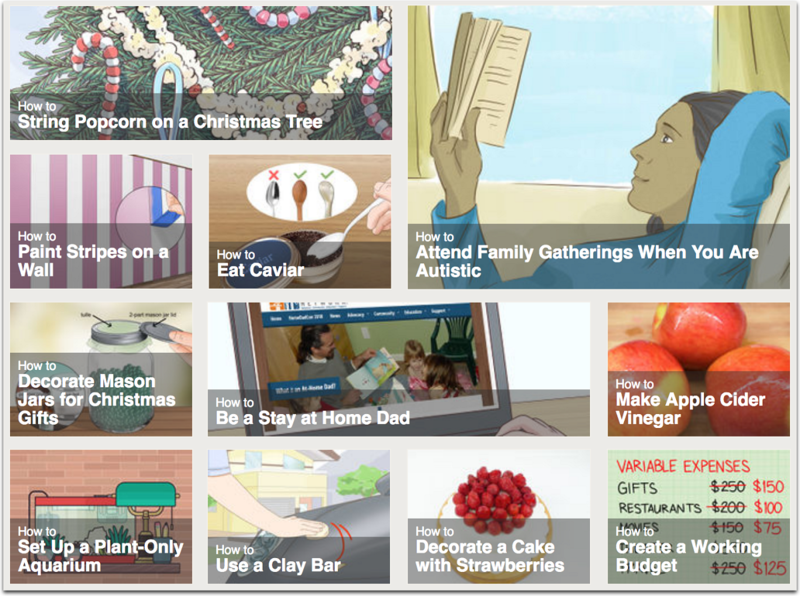 It has some of the most bizarre how-to’s on the web (and plenty of useful ones). One of my favorites is “3 Ways to Act Like You’re Possessed“. Who would need that in their life? Yet there it is, with clear steps and rated four stars. So apparently some people got some real tips from it. Maybe I will try it the next time I go out with my family. Another great one: “How to Listen to Music.” I didn’t know that one needed instructions. I was wrong. Do you have some websites to add to the list? Let us know in the comments!